Henry is a Director in the M&A department of Duff & Phelps Securities and focuses on Business Services & Technology transactions. Henry has ten years of private equity and corporate finance experience during which he has advised on a range of transactions and capital raisings across technology, consumer, healthcare, real estate and support services sectors. Prior to joining Duff & Phelps, Henry co-founded a venture-backed mobile application focused on the gifting and loyalty industry where he built a network of over 100 merchant partners between London and Oxford; and completed the Springboard Mobile accelerator (now Techstars). Prior to this, Henry worked as Associate in the European acquisitions team at Starwood Capital targeting UK and Nordic investments. 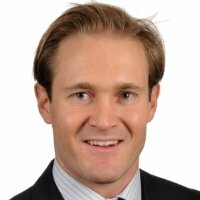 Prior to Starwood Capital, Henry worked at J.P. Morgan as a Senior Investment Banking Analyst in the consumer, retail and healthcare team. Henry holds a Bachelor of Commerce with first class honours from the University of Sydney and an MBA from INSEAD.